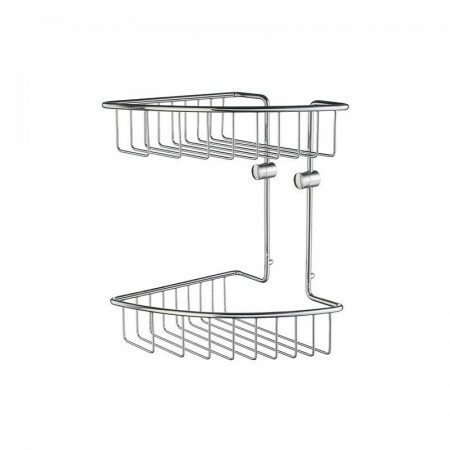 The Smedbo Home Double Corner Shower Basket is a simple and elegant addition to your bathroom or en suite. Constructed from solid brass with a luxurious polished chrome finish gives this basket excellent corrosion resistance. This stylish shower basket provides plenty of storage space for your bathroom essentials and is sold with modern concealed fastenings as well as a comprehensive 10 year manufacturer's guarantee.